Bring your family and friends to cycle for charity at the Twilight Family MTB Event. This year all money raised will be used for the PPA Bike4All project. PPA members can decide what they would like to donate to enter and PPA non-members will pay a small fee (with the option to donate). The bikes will be donated to a primary school in the Klapmuts community, Backsberg Estate Cellars, our host has been involved with this primary school for years. We heard about their need and would like to help. Please help us by donating to this great cause. We are very excited to announce that we will be returning to Backsberg on Saturday 08 December this year. The routes are flat and will cross farms that were not a part of the routes in past Twilight events. 30 km: We are busy putting the finishing touches onto a NEW long route that’s overall flatter and more interesting than in the past, you will cross over Anura and Neil Joubert farm and make a bubbly stop about 3 km from the finish. No kids u/12 on this route. 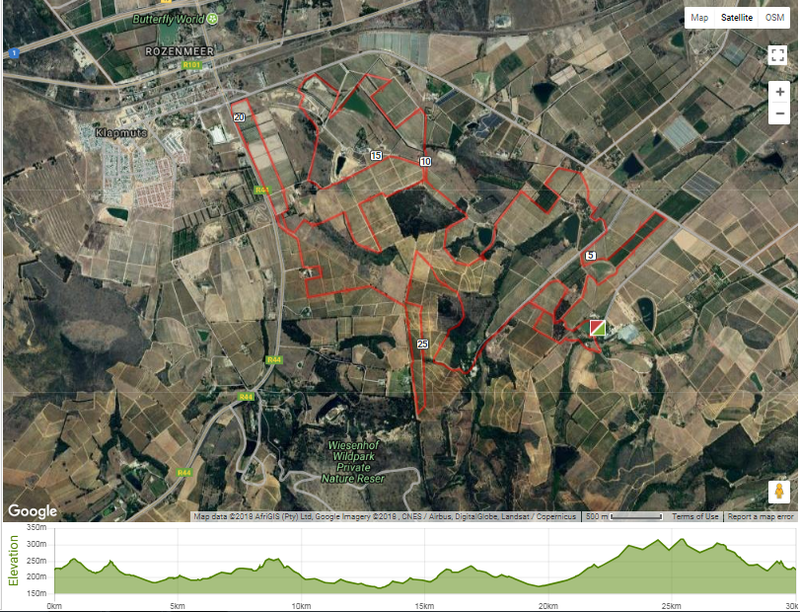 15 km: The new 15 km route offers a flatter, friendlier ride than in 2016, incorporating more of the neighbouring farms and fewer hills, for a total elevation gain/loss of just over 300m. 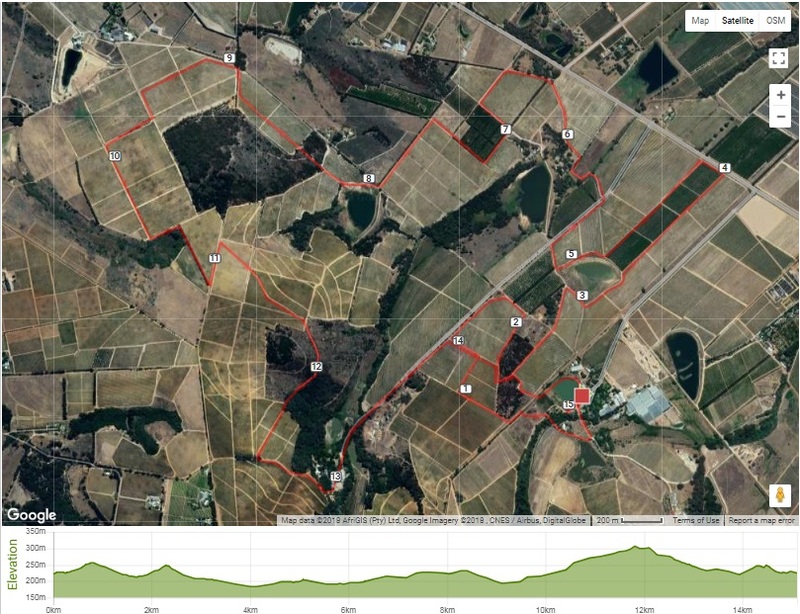 The 15 km route will incorporate awater point on the Backsberg farm where bubbly will beon offer. Kids older than 10 are welcome to ride the 15 km route, provided they are accompanied by an adult at all times. 4 km: The untimed 4 km route will be open to everyone, from cyclists to walkers and joggers. This is a great route for novice riders or complete beginners, and offers a total elevation gain/loss of less than 100m. Participants will pedal around some of the scenic areas of Backsberg, with the popular section around the farm dam still being a part of the new route. Kids older than 5 are most welcome to enter this route, provided they are accompanied by an adult (cyclist, runner or walker – male or female) at all times. The course will be closed at 20h00 and participants will be re-routed before that should they not be able to complete the course before dark.There will be no seeding or timing. The best fancy-dress outfits (yes you have to ride with your outfit!) will win prizes. Simply check in at Backsberg, tag PPA and post a photo on Facebook to qualify (all in the same post). The theme will be “Festive”. From Cape Town, take the N1 North. Take Exit 47 to Klapmuts/Wellington. Turn right under the bridge towards Klapmuts. Cross over the 4-way intersection and the railway bridge. Turn left 200 meters along at the traffic lights, onto the Simondium/Franschhoek Road. After 5 km, Backsberg will be on your right. GPS Coordinates: S 33°49’42.49; E 18°54’56.86. The 30 km and the 15 km routes will again have a bubbly point with some chocolates and sweets . Picnics can be ordered before the event (please email bianca@backsberg.co.za and copy rozanne@pedalpower.org.za in the mail to book picnics). There will also be wine, craft beer and burgers on offer at the venue. Kids will have a jumping castle and face painter to keep them busy. See you there.